Ray Charles made appearances on The Super Dave Osborne Show, where he performed and appeared in a few vignettes where he was somehow driving a car, often as Super Dave’s chauffeur. 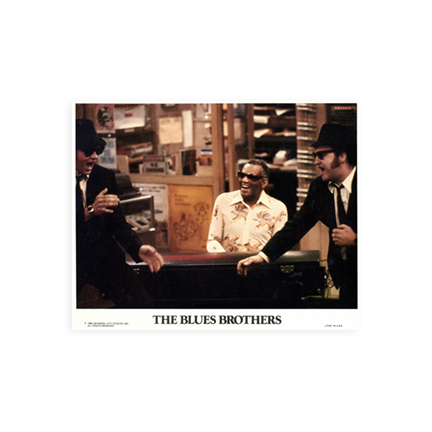 Ray Charles was a featured star in The Blues Brothers movie. Ray Charles performed at the Inauguration of President Ronald Reagan. ABC-TV’s 20/20 profile of Ray Charles, which aired in 1981, was awarded two Emmys. Another excellent profile, which aired on CBS-TV’s 60 Minutes in 1987, followed Charles’ dramatic television debut on St. Elsewhere, in which he played a homeless man, and an appearance on Who’s the Boss? in which he played himself. In recognition of both his artistic and humanitarian achievements, Ray Charles received a Star on Hollywood Boulevard’s Walk of Fame on December 16, 1981, joining a host of illustrious entertainers who have been judged worthy of this honor by the Hollywood Historic Trust. The NAACP’s Image Awards as a recipient of the “Hall of Fame Award” honored Ray Charles. 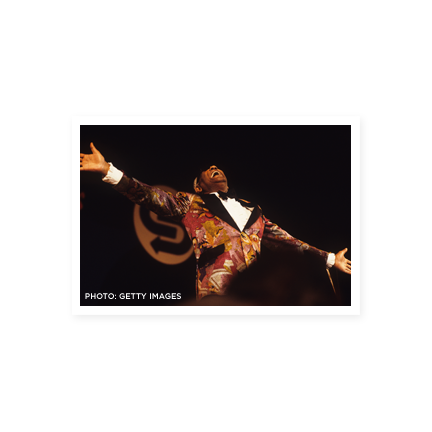 He also received an award that year at the televised ceremonies for Best R&B Male Vocalist. 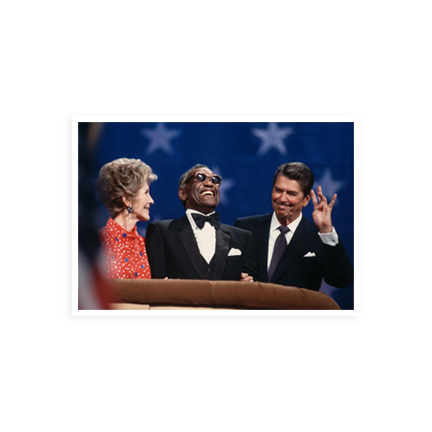 Ray Charles and Ronnie Milsap performed together for President Ronald Reagan at the Ford Theater in Washington. Ray Charles was nominated for a GRAMMY for his single “Born to Love Me,” his first nomination in the Best Country Vocal Performance, Male category. To date, Charles has won a total of 10 GRAMMY Awards, the most recent in 1975. “America” is included in the 1987 (2) disc CD release of Ray Charles hits on the Dunhill Classics label; “America” was also released as a CD single. 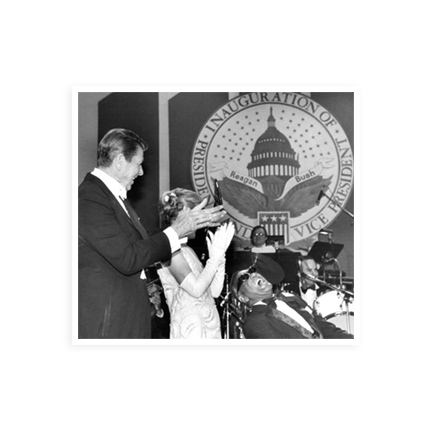 Ray Charles performed at President Ronald Reagan’s second Inaugural Ball. 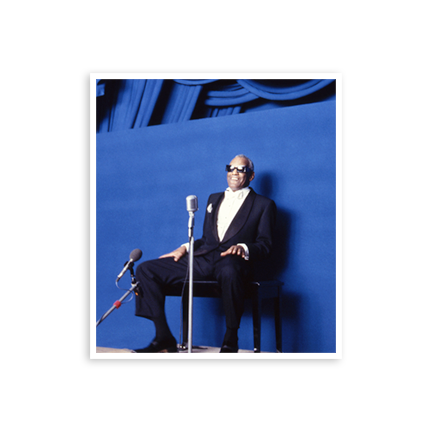 Ray Charles was one of the participants in the historic “We Are the World” recording to benefit United Support of Artists for Africa, which raised millions to help feed Africa’s starving. 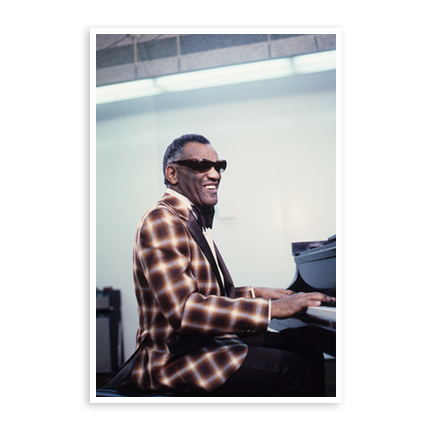 Ray Charles was one of the original inductees into The Rock & Roll Hall of Fame, yet another tribute to his versatility as a musician and to the lasting imprint he has made on all forms of popular music in the past 50 years. Ray Charles announced the formation of The Robinson Foundation for Hearing Disorders Inc. with a personal endowment of One-Million Dollars. “Most people take their ears for granted,” Charles remarked. “I can’t. My eyes are my handicap, but my ears are my opportunity.” In 2006, after the death of Mr. Charles, the name of The Foundation was changed to honor his name. The French Government honored Ray Charles when he was made a “Commander of Fine Arts and Letters,” the second time the Republic of France has selected Charles for a distinguished honor. Ray Charles was one of the recipients of the Kennedy Center Honors, celebrated with a televised gala at the Kennedy Center for the Performing Arts in Washington, D.C. The honors are presented annually to individuals who, through a lifetime of accomplishments, have enriched American life by their achievement in the performing arts. Of interest, Charles was the only African-American and the only popular musician honored that year. He was also the second youngest to be so honored up to that time. Ray Charles received the highest award that can be given by the National Academy of Recording Arts and Sciences, its Lifetime achievement Award, Ray Charles accepted the special GRAMMY at a ceremony that was televised on CBS-TV. On the human-interest side is Ray Charles’ voice-over as Raisin Ray the “first celebrity raisin” in the California Raisin Advisory Board’s trendy series of commercials. Charles was seen in Claymation. Ray Charles appeared for the first time with the New York City Ballet, which choreographed dances to some of his classics. 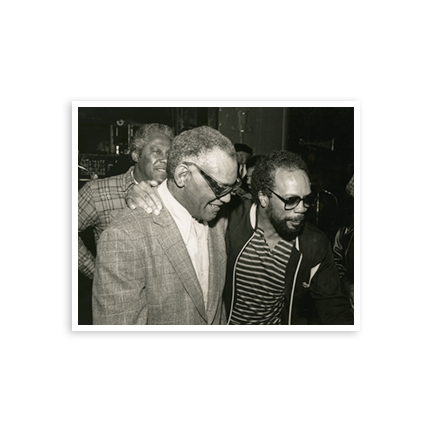 Joining Charles in playing for the engagement were members of his original band, Hank Crawford, Leroy Cooper and David “Fat Head” Newman. That appearance was so successful that it was repeated in 1989 for another sold out audience. The Academy of Television Arts and Science nominated Ray Charles for an Emmy for his performance on the TV special honoring Irving Berlin’s 100th birthday. Ray Charles appeared in the feature Limit Up… playing God. Ray Charles received a GRAMMY Nomination for Best Jazz Vocal Performance, Duo or Group for “Save the Bones for Henry Jones” (Track from Just Between US). 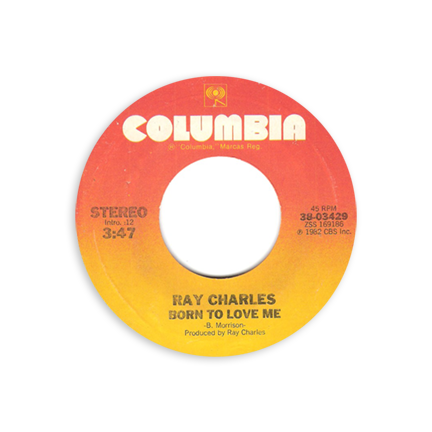 Ray Charles had a number 1 single “Ellie My Love” recorded for exclusive release in Japan. He received the “Japanese Award” equivalent of a triple-platinum recording” in the U.S., with sales there excess of two million. Marked the 30th anniversary of Ray Charles’ association with Joe Adams, who was his personal manager and close friend. Adams, a former Los Angeles deejay, (the first black man on national radio), was the “voice of NBC monitor” and an actor. Appearing in the movie Carmen Jones as Husky Miller, he was the first black man to win a Best Supporting Role in a feature film. Adams also appeared on Broadway with Ricardo Montalban in Jamaica.